Mudpie: Crap on a cracker. My favorite toy just rolled into this bag. 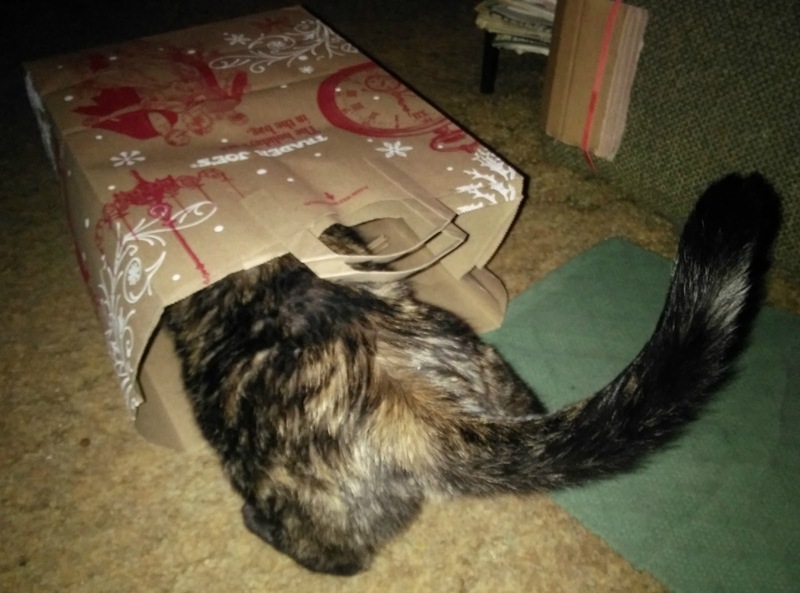 What a great picture - my cats love bags like that too! No toy can hide from you Mudpie! Oh good girl Mudpie, you rescued that toy. Well done. Better be good, Santa is on his way. That was an expert rescue mission, Mudpie! Purrs, and Merry (almost) Christmas! MOL! 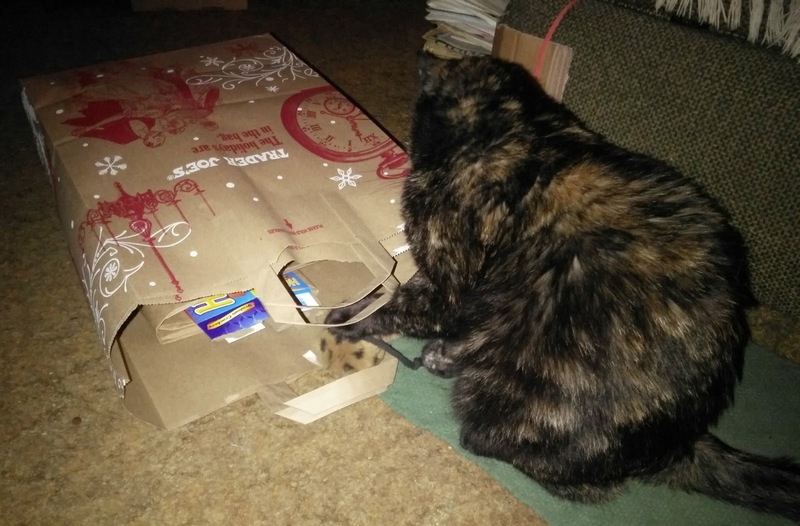 We knew you wouldn't let that bag get in the way of your favorite toy. You got it :) We just scored a Trader Joe's bag the other day. Have a great Christmas full of peace and love! 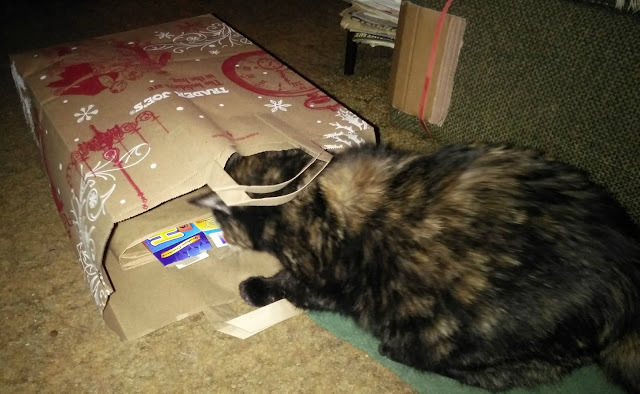 Athena loves paper bags too! MOL Mudpie, that was a bit of a close run thing!!! Paper bags are F.U.N! But watch out for those pesky handles! (Our mom swears she's never laughed when a handle caught us and made us run all around the house.) Have a wonderful bag o' fun Chrissymouse! ¡Felíz Navidad! Best wishes for many Christmas treats! OMC You have a real live paper bag from a store Mudpie. Better hold on to dat one, weez beginnin' to fink they don't make 'em anymore. MOL Have fun. Nicely done! Can't let that nasty bag win. Did you just cuss, MP? Whoa!